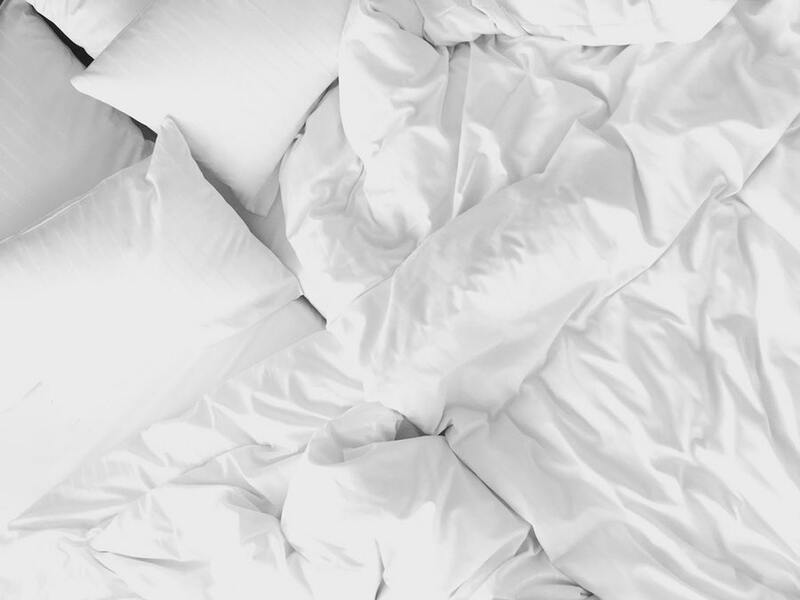 LUCKY FOR YOU, you’re reading advice from a true, medically-diagnosed insomniac… So, I’m basically an expert on the subject of what makes healthy sleeping habits a reality (without any pesky prescriptions). Also lucky for you, working in the travel industry, I’ve had my fair share of long days and even longer nights in unfamiliar hotel rooms. This means I know some handy dandy tricks that will help you receive your much-needed eight hours of sleep while you’re on the road (…or the beach). Calming scents, such as lavender, chamomile, or sandalwood can help to relax and quiet your brain, promoting faster and uninterrupted sleep! (*Hint* using essential oils before bed every night, even while in your own bed, makes this tip more effective when traveling as your brain learns to associate the oil scent with sleep. If you’re someone who needs a particular type of pillow (soft, firm, somewhere in between, with feathers, no feathers, tempurpedic, etc. ), you may want to look into purchasing either a travel-sized pillow that can fit in your carry-on or just bringing your pillow from home (if you have a mammoth-sized suitcase and only plan on packing two pairs of shoes)! Our Marketing Manager, Miranda, suggests that if you bring a pillow from home, you should use a bright-patterned pillowcase. This way, housekeeping won’t mistake it for the hotels and you won’t forget it when you leave! A comfortable place to lay your head after a long day is essential to a restful night’s sleep. Having white noise or a calming guided meditation helps greatly in assisting most people in falling asleep and calming an over-active brain. Personally, I like to listen to the sound of rain using the Rain App and have it lull me to sleep; but I have friends who put on a guided meditation every night using the Buddhify App to help them drift off. Thank the Lord for Smart Phones replacing the bulky sound machines that were once so popular! Sleep eye masks work wonders in helping you stay asleep, as the ones made out of nylon material stay cool throughout the night and are thick enough to keep out the pesky morning light (and the unflattering fluorescent airplane lights). They’re small enough to where they are perfect for travel and you can take them with you wherever you go. If you have pre-bedtime rituals, try to stick to them as closely as possible. If you watch a show before bed every night or listen to music to unwind, bring along your laptop or tablet. If you have a favorite before-sleep snack or beverage, pack them with you to enjoy. Unwinding after a long day and calming down your mind is important when it comes to getting to sleep quickly. You’re out of your element enough in a new place, you might as well do everything you can to stick with what you know, right? Comfort is key when it comes to restful sleep. If you’re not comfortable, how are you going to rest your mind enough to actually sleep? It’s not very probably. If you have a favorite cozy blanket or your trusted, long-time stuffed animal (for me, its comfy cashmere socks), pack it with you! I’ve even known some people to pack their own sheets from home and remake the bed when they arrive, giving their room a little sense of “home”. It might seem silly at first, but it’s totally worth it when you wake up refreshed and happy! Although this isn’t something I personally partake in (over-the-counter sleep aids don’t help insomniacs like we wish they would), I have family and friends that swear by taking either ZZZ-Quil or Melatonin when they travel to try and help maintain their regular sleep schedule. Make sure you don’t start out with the full dose of sleep aids if it’s your first time trying them, as they work differently for everyone! Also, check with a pharmacist to make sure they don’t interfere with any allergies you may have or any other medications you may take. Many people don’t think about this one, but when you travel, drinking your needed eight cups of water a day isn’t really a top priority along with making sure your bags arrived at the same destination as you did. But staying hydrated is super important while traveling, as if you don’t drink as much as you should throughout the day, you’ll wake up the next morning even drowsier than usual. Trying to get rest on vacation, isn’t always easy, but with these helpful tips and tricks, sleeping can be! web page which provides such things in quality?